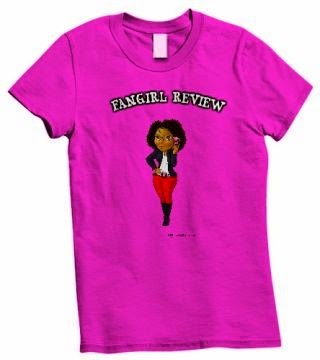 Fangirl Review: Once Upon a Time S3, Ep.19 "A Curious Thing"
Once Upon a Time S3, Ep.19 "A Curious Thing"
Episodes starts with a rider on the horse, it is Belle. Belle informed Regina, Snow, and Prince Charming about what happened to Neal and Rumple. Sleeping Beauty infromed Snow White and Prince Charming that the Wicked Witch wants thier baby. The witch arrives and turns Phillip and Sleeping Beauty into flying monkeys. The witch freezes them and says the baby will do nicely and flies away. 8 months later still in the enchanted forest. They are all working together to figure out how to battle Zelena. They plan to sneak into Rumple's castle to get an insight from him on how to beat Zelena. Regina is making out with Robin Hood. They are interrupted by Henry. Regina meets with the gang they need to figure out how to get their memories back. They agree that in order to break the curse they need to get Henry to believe in magic again. Zelena has Rumple kidnap Hook. Zelena tells Hook to kiss Emma to take away her magic or she will kill Henry. Back in the Enchanted Forest they arrive to find Rumple talking in circles. Belle tries to talk to him to get him to help them. Rumple tells them to find the Good Witch Glinda. She has been casted to the Dark Forest. Real world. They are looking for the book but they cannot seem to find where it is. Henry confronts Emma about her constant lying. Henry says okay to her story and accepts her keys. He is about to get into the beetle when Hook stops him from running away. Snow is able to find the book even after Emma was not able to find it. Emma finally reveals that she is thinking about taking Henry back to NY without him having his memories. Snow's feelings are hurt by this. Enchanted Forest - Snow, Charming, and Regina attempt to go to Glinda. They find a door and only Charming and Snow are able to go through as they have a pure of heart. They meet Glinda. Glinda cannot stop Zelena. Glinda lets them know that Zelena has a pendant that helps focus her magic. Snow says that they must get to Emma as she is the one that has light magic and can defeat Zelena. Snow says that they must enact the dark curse in order to get back. Regina, Snow, and Charming are trying to figure out how to do the curse. Charming says Snow can enact the curse. 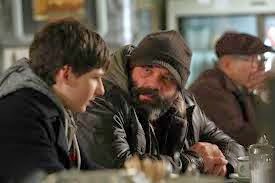 Present day - Hook tells Henry that Smeed plans to go to NY and Henry can tag along. Flying monkeys appear. Emma, Regina, Charming, and Snow show up and kill off the monkeys. Henry is freaked out and wants to know what is going on. Emma hands Henry the book and tells him to believe. He touches the book and remembers everything. He calls Regina Mom. Just as Emma is about to kiss Henry, Zelena takes him away and holds him hostage. Emma uses her magic and is able to get Henry away from Zelena. They realize that Regina is knocked out on the ground. Enchanted Forest - They have made the curse. Snow does not want to crush Charming's heart in order to enact the curse. Regina takes out Charming's heart. Snow is holding his heart and she crushes it to add to the curse. Charming falls down. The witch shows up and does something to the curse. She added the forgetting potion to it. Present day - Regina wakes up. When Regina kisses Henry she breaks the forgetting curse on everyone. They realize that light magic will defeat Zelena. 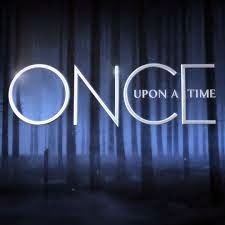 In the Enchanted Forest - Snow asks Regina to rip out her heart and split her heart in half. That is how Charming is able to live. Regina is able to physically break the heart and place half into Snow and half into Charming. Charming wakes up. Regina and Henry are talking. He is catching her up on everything that is going on. Regina tells Henry that she has been seeing Robin Hood. Hook tells Emma what Zelena was planning on doing and she says she cannot trust him now. Enchanted Forest - Zelena takes a potion to protect her memories when the curse hits. Rumple is about to take the memory potion as well but Neal breaks through and sends the memory potion to Hook. Present Day - Henry and Emma are at Neal's grave. Snow goes into labor. My Thoughts: I was really happy to see Regina with Robin. The show has a lot going in within the first 25 minutes. The best part is when Henry finally remembers everything. Seeing him run to Regina was a beautiful moment. Almost made you misty eyed. Smart move having Regina break the curse on Henry. It is nice to know that others can break a curse without it having to always be Emma. The savior aspect is getting boring. Well done on helping Charming to live. I was thinking about them sharing a heart when he mentioned it before he died and it nice to know that it is feasible. I like that it was Neal that sent the message but my heart is broken that they do not trust Hook anymore. This man continues to bend over backwards to help Emma and he just does not get his due. Previews for next week has us meeting Dorothy Gale from Kansas. Yay! I cannot wait to see how this will play out. What are your thoughts about this week's episode? Quick question if all the flying monkeys are people they know when they just killed 10 on the show, did they just kill friends like Sleeping Beauty?